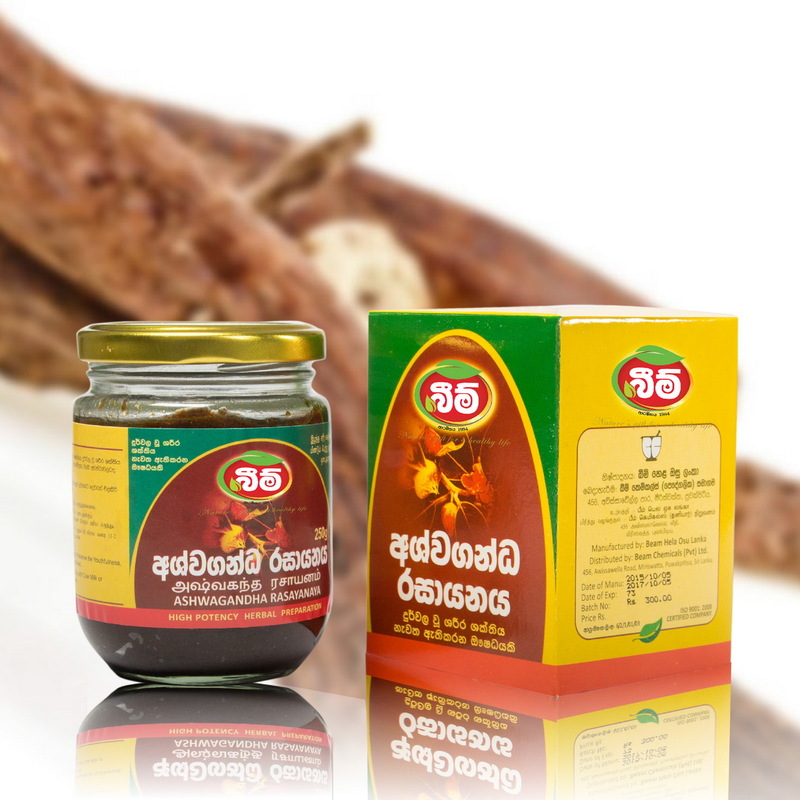 Ingredients Traditional herbal preparation mainly with Winter cherry /Amukkara(Withania somnifera) tubers, Binthal (Curculigo orchioides) tubers , Ashawagandha (Withania omnifera ) and etc. Therapeutic Effects Invigorate and maintain the body energy preserve the youthfulness an effective remedy for leucorrhoea. Usage Twice a day with cow milk or as directed by the physician. අඩංගු ද්‍රව්‍ය: අමුක්කරා අල, බිංතල් අල, ප්‍රධාන කොට දේශිය ඖෂධ වට්ටෝරුවක අනුසාරයෙන් නිෂ්පාදනය කෙරේ. ගුණ: රසායන සහ වාජීකරණ ගුණය අධිකව පවතින මෙම ඖෂධ සංයෝගය දුර්වල වූ ශරීර ශක්තිය නැවත ඇති කරන ඖෂධයකි. ස්නායු දුර්වලතා, වාත වේදනා වැනි අවස්ථා වලටද ඉතා ගුණදායකයි.